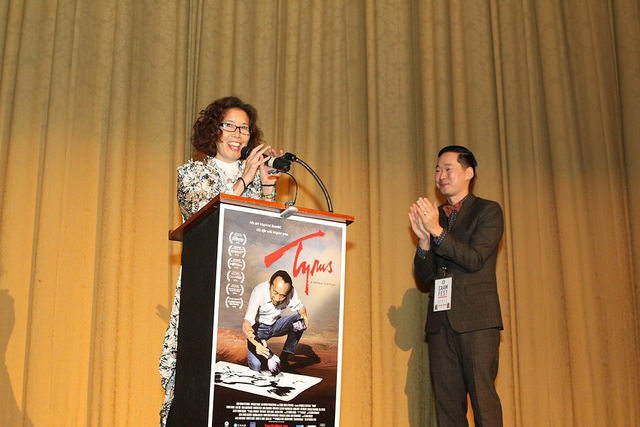 Tyrus Wong, 105, at the Bay Area premiere of "TYRUS," directed by Pamela Tom. 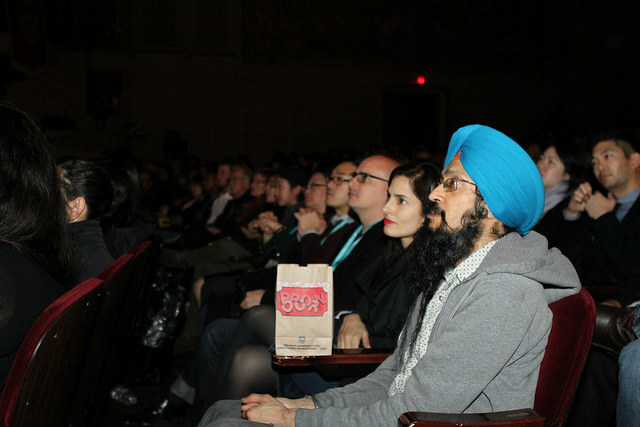 CAAMFest 2016 Opening Night, March 10, 2016 at the Castro Theater. Photo by Leanne Koh. By sheer stark, ironic, enantiomeric contrast, the dark lords, wraiths, tyrants and demagogues battled on a debate stage in Mordor/Miami last night, and the good people of the Bay Area gathered to celebrate the man with our favorite 5-letter name beginning with T. Tyrus Wong. While a shocking, shameful 35% or more of the country seems ready to “Make America Hate Again,” we packed the Castro Theater to take in the light of an extraordinary film about an extraordinary man, whose life embodies the best of American and human values. I found myself wishing that the entire nation could absorb the message of TYRUS, which would be a total cure for the cancer that is ravaging our body politic. Because this film delivered the other big T-word – Truth. “TYRUS” Director Pamela Tom. Photo by Leanne Koh. Pamela Tom described the labor of love that became TYRUS. Watching BAMBI, the name of one of the “background artists” popped out at her – Tyrus Wong. A Chinese man? Working at a major film studio in the 1930s? Tom worked for 17 years on her film that puts the story of this Asian American hero in front of the camera, when he had worked so many years well behind it, not only on BAMBI (playing at the Walt Disney Family Museum next weekend), but on the art direction for a trove of Warner Brothers and other studio pictures from REBEL WITHOUT A CAUSE to AROUND THE WORLD IN 80 DAYS to classic westerns to HARPER starring Paul Newman. He also was an annually featured artist for Hallmark. His keen eye and artistic sensibility brought vision to scores of scripts, and he was far more than a “background artist” for BAMBI. An animation expert in the movie said “Bambi was Tyrus’ film.” Drawing from a Chinese art aesthetic, eschewing excessive details but evoking the subtle grandeur of the American forest and all its living beings, Wong’s canvasses are filled with emotion and poetic, even spiritual, resonance. His images are awe-inspiring and simply unforgettable, and by all accounts, are a milestone in animation history. We can all be proud of him as an exemplar of Asian American talent and achievement. But, as art curator Sonia Mak says in the film, “this flower grew between concrete and stone.” Wong was born in Guangzhou, China in 1910, and immigrated with his father to California at age 9. He never saw his mother again. He was separated from his father and detained for a month on Angel Island, an undoubtedly terrifying experience for the young boy. Some of his fellow detainees committed suicide, others were held for years, and he was forced to answer a barrage of questions aimed at keeping out Chinese immigrants. That was the first of many uphill battles he would have to face. There were incidents of racism during his youth, and throughout his career as a path breaker in Hollywood. While there were notable exceptions and counterweights to anti-Asian bigotry, such as his mentor and benefactor, the noted artist Stanton Macdonald-Wright, America’s opportunities came fraught with the harrowing resistance of hate. As Stephen Gong, Executive Director of CAAM, said in his introduction (I paraphrase), “politics today is teeming with the rhetoric of division. The role of art is in bridging us, and helping us understand one another better.” CAAMFest’s tagline this year is “Come Closer”, and TYRUS helped us do just that. We emerged closer to the artist and the man, delighted in his romance of his wife Ruth Ng Kim, his later tending to her as she declined from strokes and dementia, and his closeness to his daughters, his “greatest achievement.” CAAM invites us closer, not just to films, but also to each other, through the medium of film. Audience members at “TYRUS.” Photo by Leanne Koh. 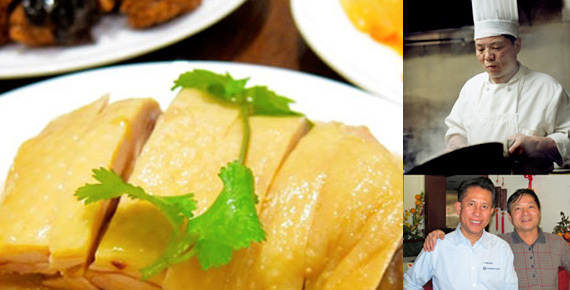 The Chinese word ren describes the quality that can only be brought about in relationship. It is commonly translated as “benevolence,” but it is so much deeper than that. No man is an island; and no person is complete without the expansive qualities of love, compassion and acceptance, evoked only in communion with another. In other words, you can’t say friend without ren. What TYRUS tells us is that none of us is complete without each other – that the American canvas is not complete without the Chinese brushstroke, or the call to prayers, or the Dreamers’ dream turned real. Ren is enshrined in our nation’s very motto, E Pluribus Unum. While some seek advantage by stoking fear, anger and hatred, we have no choice but to transform their pain and painfulness with our ideals, vision and the creative art of relationship. Only if we do invite them closer, can we become one nation after all. Asian Americans and many others know that hatred that has been woven into America’s story from the beginning. But we will keep writing the far grander narrative of inclusion and emergence. 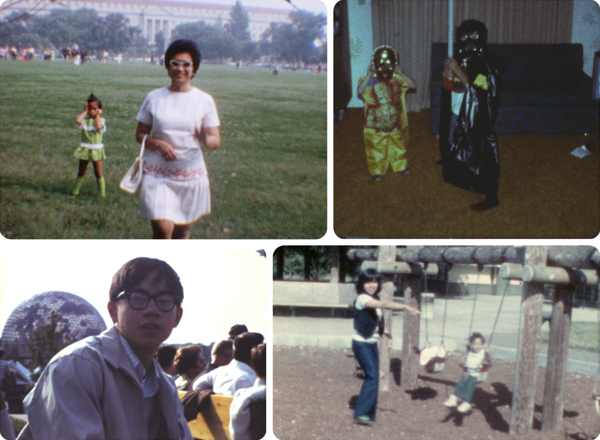 I’m so glad to take part in CAAM’s story, and the Asian American experience. Last night, I was honored with a San Francisco Board of Supervisor’s Proclamation by Supervisor Jane Kim for my years of involvement with CAAM and the Asian American community. Stephen Gong was also honored, and March 9th was declared Tyrus Wong day (the day Tyrus signed his long-lost “Chinese Jesus” painting). Jane Kim also noted that last month, Eddy Zheng (subject of BREATHIN’: THE EDDY ZHENG STORY) had his deportation case squashed. Assemblyman David Chiu was also on hand to honor CAAM, 11 days after the birth of his son Lucas. 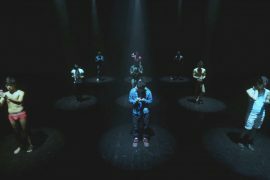 It is deeply humbling to be on the same metaphorical stage with them and with all of you. It’s more ren than I could have ever imagined. I’ll see you at CAAMFest! See more CAAMFest 2016 Opening Night Film and Gala photos. Waiting for a friend to add her disambiguation about ren, as I can’t get this corrected. Of course I should have specified that was Mandarin, and meant no disrespect to Cantonese, Toisanese, Or speakers of any dialect. And when I compared ren and friend I was speaking conceptually and not concretely. Best wishes to you all!